Grado SR325e review | What Hi-Fi? Invariably there comes a time in a product’s lifespan when it has to bow down to newer, better competition. But the Grado SR325es – our current sub-£400 award-winners – can be safe in the knowledge that for them today is not that time. Despite many rivals being given the once over since their arrival, they remain the go-to cans before you reach the Shure SRH1540 (£430). Even without their £20 price drop since our last review, the Grados are a hugely compelling buy. They’re not the head-turners you might expect under £300, but they do bring a sturdy, solid build. 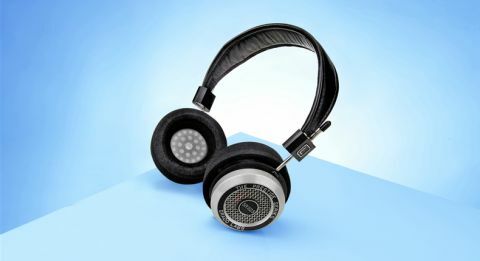 Giving the Grados a friendly yank does nothing but emphasise their flexibility and hardiness – and, as the earcups rotate 360 degrees, the construction remains creak-free. Foam ear pads hang over, rather than hug, your ears, keeping them airy and cool. While some will prefer a tighter grip, the Grados never feel loose-fitting. The headband can easily be adjusted with a sliding mechanism and, although without cushioning, it feels surprisingly lightweight on the head. The real upgrade is in their sound: clearer and weightier than the SR325ises, they are as musical as they come. We start with Michael Jackson’s The Way You Make Me Feel and the Grados burst into life, lapping up the song’s rhythmic energy. Each of the track’s layers is distinct and well-organised in a way that ensures a naturally cohesive presentation. John Williams’s Somewhere In My Memory (Home Alone’s signature score) is a delicate composition – a flurry of sprightly, dainty instrumentals – and the Grados treat it with a suitably light hand: agile and fluent, they breeze through the varied orchestration without a hitch. Seasonal bells and chimes never sound bright or hard-edged, just beautifully sharp and well imaged. Balanced, detailed and dynamically sound, the tuneful, mellifluous manner of the SR325es makes longer listens a true delight – and with every music genre, too. But beware: these open-backed ’phones leak sound like a damaged boat leaks water, so the unfortunate person beside you will get almost as much of an earful as you. We’d wait until you’re home alone to crack out your Mamma Mia! soundtrack. If you’re serious about sound quality and they fit your budget, what are you waiting for?